We are very proud to have worked in partnership with Runshaw College on the production of their new 2016/2017 prospectus. Over 25,000 copies were printed and stored in our warehouse ready to be dispatched over the next month. 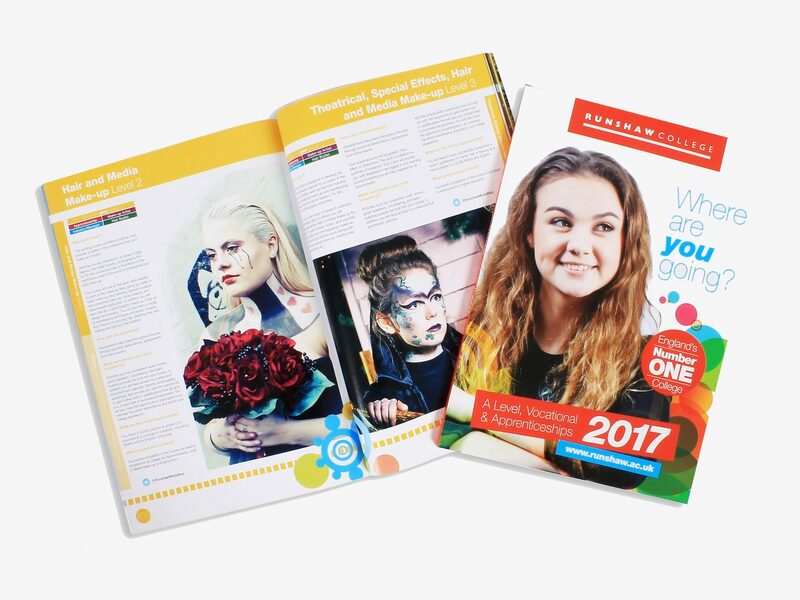 This latest job is part of our on going relationship with Runshaw College, which involves design, graphics, signage as well as print. Take a look here for other examples of our work. If you think that you might like to work with us to help you market your business, please don’t hesitate to contact us.